Droopy drawers? Problem solved for my little guy!!! Look at all the pattern and color choices to fit your little man or your pretty princess. 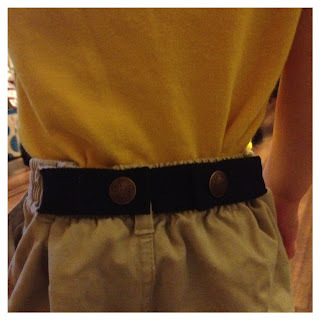 Affordable solution for kids that are between sizes or wearing hand-me-downs and pants that don't have adjustable waist bands. One Size Fits All means you buy them once but get years of use! 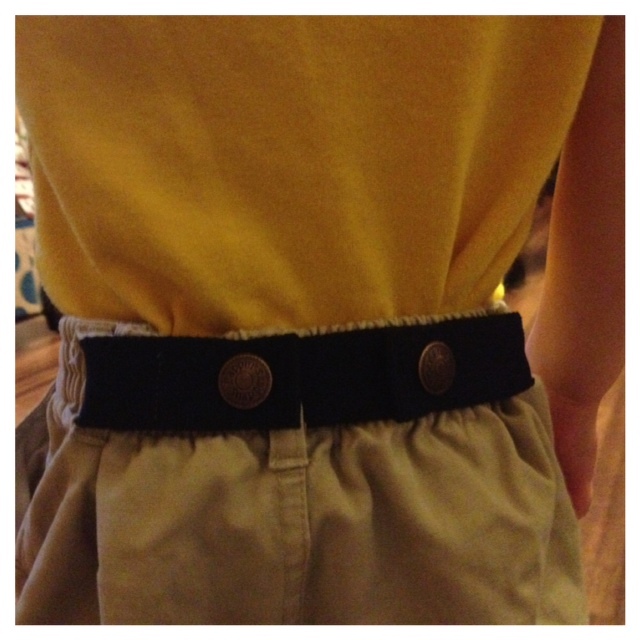 More convenient than traditional belts since you don't have to remove them for diaper changes or potty training. Wide range of colors and patterns make it fun for kids to accessorize! 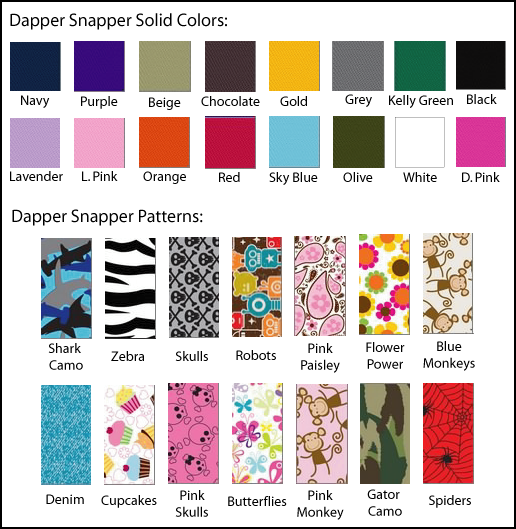 Dapper Snapper Clips (sold separately) make it easy to use your Dapper Snappers even on pants that don't have belt loops. 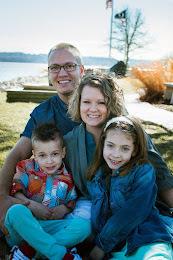 Easy-to-use design helps make moms life a little easier. Thank-you to Busy Mom Boutique for sending me the Dapper Snapper for review. 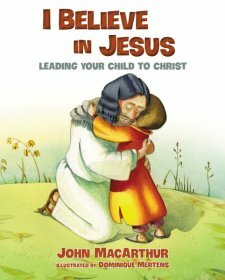 I was not paid for this review and all opinions are 100% mine. Enter for your chance to win your choice of a Dapper Snapper using the easy rafflecopter form below. I like the butterflies pattern and the spiders pattern. I like the chocolate because it would go with anything.